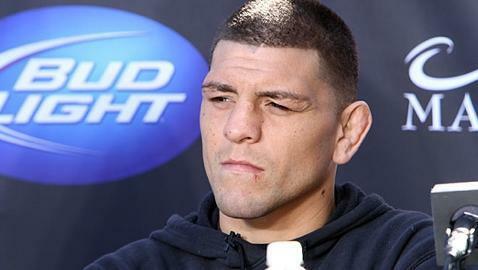 UFC welterweight Nick Diaz hinted at retirement following his UFC 158 loss to Georges St-Pierre on March 16. The comments were made by an emotional, defeated and dejected Diaz at the time. Less than an hour later, during the UFC 158 post-fight press conference, Diaz asked for a rematch with St-Pierre and expressed his desire to fight middleweight champion Anderson Silva. Diaz’s legal representation, Jonathan Tweedale, stated earlier this month that if Diaz doesn’t get a rematch with St-Pierre or a fight against Silva, he will likely remain retired. But if Diaz decides that he does want to continue his fighting career, he still has a place in the UFC. “If he wants to fight, we’ll get him a fight,” said UFC president Dana White on Thursday. Diaz attended The Ultimate Fighter 17 Finale on April 13, but he and White didn’t talk. Nate Diaz, Nick’s brother, faces Josh Thomson at UFC on Fox 7 this Saturday and Nick will be cornering Nate in the fight. His fighting future remains uncertain, but it’s up to him whether he wants to fight or not. The door is open if he chooses to walk through it.